Inaugural President of the Northern Territory Criminal Lawyer’s Association, 1982; appointed by the Australian Foreign Affairs Minister the Honourable Gareth Evans QC to the Board of the Australian-Indonesia Institute, 1984; Life member of the Northern Territory Criminal Lawyers Association, President of the Northern Territory Bar Association – 1997 to 2000, Member of the Executive Committee of the Australian Bar Association – 1997 to 2000, President Northern Territory Branch of the International Commission of Jurists – 2000 to present, Member of the Board of the Australian-Indonesia Institute – 1989 to 1994 in the Hawke and Keating Governments, Member of the Board of Directors to the Cambodian Legal Resource Development Center in Phnom Penh, Cambodia – 1999 to present, Member of the Royal Darwin Hospital Management Board – 2002 – 2003, Chairman of the Royal Darwin Hospital Management Board 2003 to present, Chairman of the Royal Darwin Hospital Ethics Committee 2003 to present, Continuing member of the Advisory Committee of the Asian law Journal, University of Melbourne, Chairman Northern Territory Museums and Art Galleries Board 1997 to 2000 and 2003 to 2006, Chairman of the Visiting Committee of the School of Humanities, Psychology and Social Sciences at the Charles Darwin University, Darwin, Member of the Panel of Chairs of the NT Police Promotions Appeals Board 2000 to present, Member of the Panel of Chairs of the NT Police Inability and Disciplinary Appeals Board 2005 and continuing, Member of the Board of the Institute of Legal Studies at the Australian Catholic University, North Sydney, Head of Chambers at William Forster Chambers 1998 to 2010. 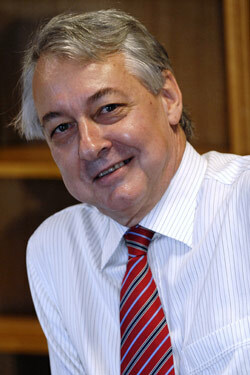 Colin was first admitted as a solicitor in Victoria in 1975. He undertook articles of clerkship with Russell Kennedy and Cook where he continued to work until 1977. During 1978 to 1979 Colin was an Associate to Justice McGarvie of the Victorian Supreme Court. He worked at the Victoria Bar from 1980 to 1981 where he read with Frank Vincent, now Justice Vincent of the Victorian Supreme Court. Colin moved to the Territory in November 1981 to practice law. He commenced work as a solicitor with the North Australian Aboriginal Legal Aid Service in December 1981 and worked there until May 1984. Colin has been at the Northern Territory Independent Bar since May 1984. He was appointed Queen’s Counsel on 24 January 1997. His committee involvement has included the position of inaugural president of the Criminal Lawyers Association, former president of the NT Bar Association, and member of the Australian Indonesia Institute between 1989 to 1994. Colin speaks conversational Bahasa Indonesia.